– A 25% deposit payment must be received at the time of booking unless the booking is made with less than 1 month to the hire date in which case full payment at the time will be required. The balance is due 1 month before the hire date. Cancellations must be notified in writing, at least 30 days prior to the intended booking date and will incur a 25% fee. Late cancellations will be subject to the full fee. – Altitude’s staff are entitled to work in a safe environment. If this should become a problem, we reserve the right to suspend the activity. No refund will be given. – We reserve the right to send away any person who is found to be unmanageable or a danger to the safety or enjoyment of others. No refund will be given. – Safety is paramount and all participants must accept that the decision of the instructor is final and at all times accepted by the participants. – If the booking is on behalf of a school, it is your responsibility for gaining parental permission, and medical information where necessary and to inform the County Council and the EVC where necessary. – No one under the influence of drink or drugs may use any of our equipment. – Altitude does not provide waterproof clothing or overalls so please ensure clients bring the appropriate clothing with them for the activities they are undertaking. – Altitude reserves the right to substitute hired equipment with equipment of a similar type and value in the event of damage or loss of pre-booked equipment. – Once sited, equipment will not be moved. The collection time stated is the time that we can drive onto the event and start breaking down. Set up will generally be started 1 – 1.5hrs before we start operating unless otherwise agreed in advance during the booking process. – Altitude will provide all power connections to connect activities to the hire locations power source as defined on page 1 of this form. It is the hirer’s responsibility to provide the power source they stated when booking (except when Altitude provides a generator (for an additional fee). If the power source changes prior to the event taking place, it is the hirer’s responsibility to communicate that to Altitude. – In the event of traffic or other uncontrollable circumstances preventing us from being able to fulfil our contractual obligations our liability is limited to a refund of any monies paid in relation to the contracted event or a pro rata reduction in the hire fee in the event of a delayed start. No further compensation will be paid. – In the event of any damages or loss caused by participants to property or equipment in use (except for wear & tear) the client will be charged the full replacement cost. – Altitude reserve the right to cancel, alter, or delay any booking where forced to do so by circumstances beyond our control, such as serious illness, terrorism, severe weather or any other circumstances which would subject Altitude or any of its employees or participants to danger. – No liability is accepted for loss or damage to property belonging to any participants including clothing, cameras, watches, phones, etc. – No liability is accepted for personal injury or death of any participants however caused, unless by proven negligence of Altitude. – Participants with previous related injuries and ailments or during pregnancy should not undertake any of these activities. – Parking will always be required for our event vehicle during a booking. Any congestion charges, parking fees or other tolls that are not quoted for in advance will be liable for payment by the client. – Bookings can only take place on private land with the landowner’s permission. – All users must be able to understand spoken English for the safety briefings. – For activities where helmets are required, those who refuse or cannot wear a helmet may not partake in the activity. – Altitude is not responsible for any damage to the ground surface from our equipment or any services located underground such as pipes, cables, irrigation, etc. – Face Paint, hair dye and fake injuries cannot be used on any Inflatables, Soft Play, Laser Clays or activities where helmets must be worn (Segway and Motorised Activities). – No silly string, confetti, fireworks or the suchlike is allowed near any of the activities. Any damage from these will be charged to the hirer. – Our equipment is all heavy and difficult to transport so please contact us in advance with any possible access problems such as stairs, lifts, narrow doorways, travel distances more than 25m from the van to the set up area and we must be notified in advance if the equipment is not going on the ground floor at a venue. – If upon arrival at the venue, we cannot operate for any of the reasons stated on this form (access, space, ages, weather, etc.) then no refunds are due. 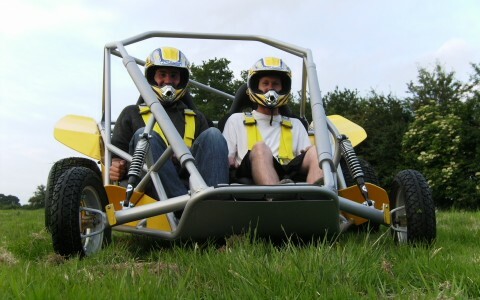 – All activities require flat ground to set up on. When not on hard standing, outdoor ground must have short cut grass and not be bare mud/earth or excessively muddy. – If any activities are hired unsupervised (dry hire), it is the hirers responsibility to ensure that all parts are returned complete and intact. If parts are lost or broken, it is the hirer’s duty to pay for these to be replaced or repaired. 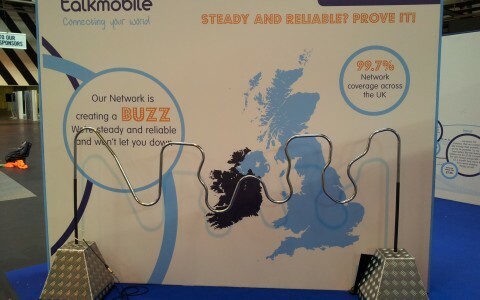 This also applies to overnight bookings of our activities on exhibition stands. – Altitude will not be liable for any damage due to errant balls, pucks, Scalextric cars, High Striker hammers, etc. from activities it provides. This includes damage to TV Screens, Windows, plaster, paintwork, etc. If activities are booked that may result in game parts leaving the game (ie: Crazy Golf or Air Hockey) we cannot set these up on balconies, mezzanines, etc. where things may drop onto people below. – Photographs may be taken during the booking/event which are used solely for our own marketing purposes (website, social media and newsletter). Please let us know in advance if this is not permissible. – Climbers must weigh between 3.5 and 18 stone (22 and 110kg). – Please ensure that you have checked the dimensions to check that we will be able to gain access to your venue (trailer is 2.75 wide, 2.75m high and 10m long) and that the site is suitable for setting the wall up on. The wall needs to be located on firm FLAT/LEVEL ground with a pitch size of at least 8m frontage and 15m depth with 9m height clearance overhead. We will drive in one 8m side and out the other 8m side so cannot be penned in on these sides. We cannot gain access up steep slopes with sudden gradient changes as the trailer will ground out. 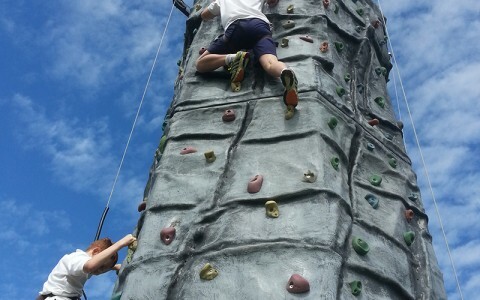 – The Climbing Wall is fully weather resistant but it is not considered to be safe practice to use in periods of heavy rain, when wind speeds exceed 30mph or during lightning storms. We, therefore, reserve the right to suspend climbing during periods of extreme weather. – Segway riders must weigh between 7 and 19.5 stone (45 and 117kgs). 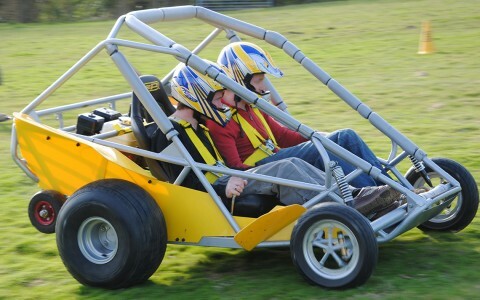 Powerturn drivers must be over 16yrs old (12-16yr olds can be taken for passenger rides by our instructors). RAGE, Max Kat, Reverse Steer and Blindfold Drive drivers must be over 18yrs or 17yrs with a full driving license. – The Segways are fully weather resistant but Altitude reserves the right to suspend activities in periods of prolonged heavy rain or if the ground becomes too slippery, i.e. : if icy. – Ladies in high heels will need to remove their shoes to ride the Segway and flat shoes will be needed for the other motorised activities. – We require a flat open area of grass with no obstructions or hazards that could be hit for each motorised activity hired and grass must be cut short. For safety reasons these activities cannot operate if the ground is very bumpy/uneven. Rage Buggies will require 150m x 150m, Blindfold Drive, Max Kats and Powerturns require 100m x 50m and Reverse Steer requires 50m x 25m. For a pair of Segway, we require a flat/level area of solid ground (not gravel or very muddy) at least the size of 2 tennis courts with no obstructions, any grass must be cut shorter than 10cm. It is the client’s responsibility to suitably cordon off the area that we use from public access for motorised activities. 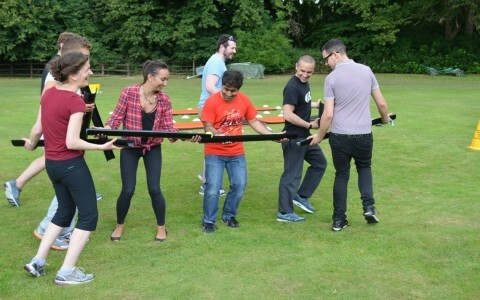 – The minimum age limits are 3yrs for the Bungee Run, 5yrs for Obstacle Course and 6yrs for Laser Tag. Volleyball/Dodgeball, Rock n Roll (players must be able to get on the podium unaided), Shooting Gallery, Hoverball and Sumo Suits are for 8yrs and above. The max age for the Bouncy Castle is 10yrs. Soft Play has a maximum user height of 1m. For safety reasons, adults cannot use the Inflatables at the same time as children. HTF has a minimum age of 8yrs and players also need to be a minimum 1.25m tall. – All Inflatables require one power supply (mains or 6.5kVa generator). We cannot run extension cables more than 50m and they must not cross roadways or areas with high footfall where they would become trip hazards. 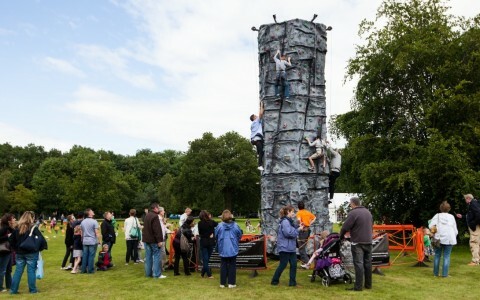 – The Bungee Run, Soft Play, Sumo Suits, Inflatable Volleyball/Dodgeball and Rock n Roll cannot be used in the rain. The Obstacle Course and Bouncy Castle can only be used in light showers. – HTF requires 16.5m x 10.5m with 2.5m headroom. Volleyball/Dodgeball requires 16m x 14m and 5m headroom. Bungee Run requires 17.5m x 7.5m with 3.5m headroom. Sumo Suits require 8m x 8m. Rock n Roll requires 9m x 9m with 4m headroom. 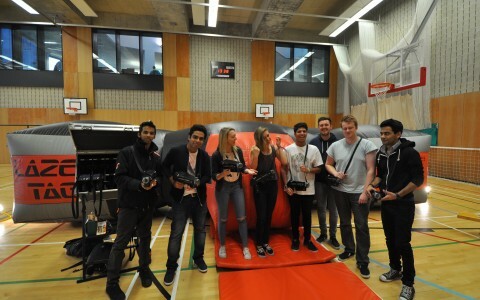 Laser Tag requires a 15m x 13m area with 2m headroom. 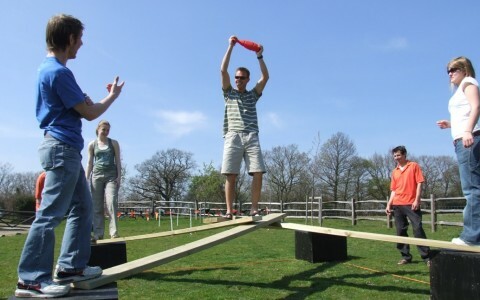 Obstacle Course requires 19m x 13.5m with 6m headroom. The Bouncy Castle requires 11m x 9m of flat ground with 4.5m headroom. Shooting Gallery requires 5m x 6.5m with 2.5me headroom. Hoverball requires 6m x 12m x 2.5m headroom. Soft Play requires 9m x 8m. Horses require 10m x 20m. Skittles/Bowling requires 14m x 5.5m. Crazy Golf requires 12m x 25m of flat ground and must be set up in the same area rather than separated around multiple locations. 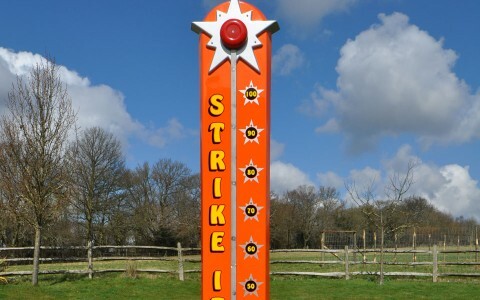 High Striker requires 3m x 3m with 3.5m height clearance. 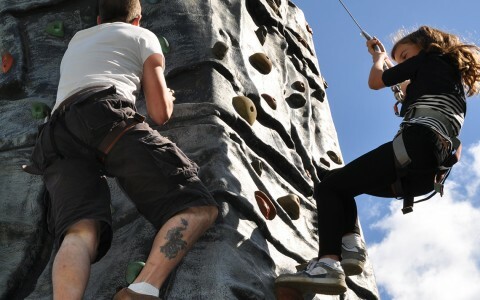 – Due to the size and weight of the Laser Tag, HTF, Volleyball/Dodgeball, Bungee Run, Obstacle Course, Bouncy Castle and Rock n Roll inflatables (rolled up they are about 1.5m x 1m x 1m), please contact us with any possible access problems such as stairs, narrow doorways/entrances, steep slopes, etc. We need access for the van within 15m of the setup area. – Inflatables cannot operate on hard standing (unless indoors) and Crazy Golf cannot set up on gravel. – The ground must have less than 5 degrees of slope for Inflatables and for Crazy Golf wants to be as flat as possible. – In times of extreme high winds (25mph) we may have to cease running the inflatables for safety reasons. 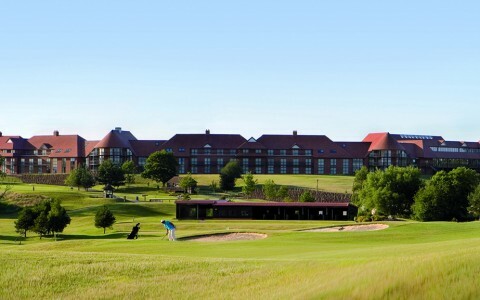 HTF and Crazy Golf cease operating in times of thunder and lightning. – Shoes must be worn on the HTF and football boots will not be allowed. – Laser Clays require a minimum of 25m x 40m and Archery/Crossbows require 100m x 50m – Both require an open area of grass. Pistols requires 10m x 10m depth of grass with a 25m overshoot. Air Rifles requires 10m x 25m depth of grass with 25m overshoot. Laser Shot requires space for a 4.5m x 3m mini marquee which stands at 3.15m in height. 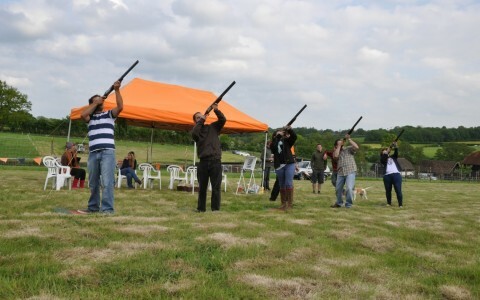 Real Clay Shooting can only be carried out on land with a section 11 on it. Combat Archery requires 60m x 40m of flat open grass (astroturf or indoors are options if discussed during the booking process). – There are no age restrictions for Laser Clays or Laser Shot but users must be strong enough to hold the gun themselves. Archery and Combat Archery is 8yrs and up. Pistols and Air Rifles are 10yrs and up. Crossbows is for 18yrs and above. – When operated outdoors, none of these shooting sessions will carry on in times of thunder and lightning for safety reasons. – Duck Herding requires an open area of short grass at least 25m x 25m (but ideally larger if possible) with vehicle access for a 4×4 and trailer. – We require a flat undercover area with a mains power supply (not generators) and solid flooring for each of these activities. 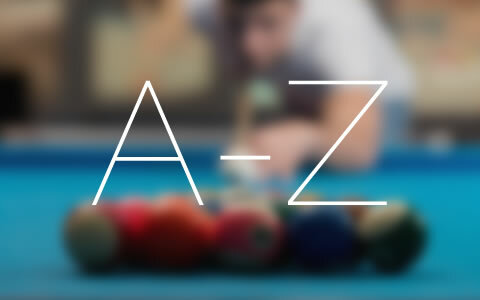 – The minimum age is 10yrs for Pool, 8yrs to use the Scalextric, Basketball and Graffiti Wall, 6yrs for Grab a Grand, 1.3m in height for Race Sims and the other activities are dependent on the sizes of the player or the age rating on the game for the Wii/Dance Mats/Kinect. The rest of the Pub Games and Electronic Games can be used by anyone tall enough to play the relevant games. – Giant Scalextric requires 4mx 5.5m, Giant Operation, Chaos, Pluck a Duck, Tap the App, Batak and Strike a Light will need 3m x 3m, Grab a Grand Requires 2.5m x 2m, Graffiti Wall 3.5m x 3.5m with 2.5m height, A pair of Race Sims, Dance Mats, Wii and Kinect will all need 4m x 5m. Graffiti Wall requires 3.5m x 3.5m with 2.5m headroom. The Vault requires 2m x 2m. Arcade Machines require 1m x 2m. Selfie Mirror requires 3m x 4m depth. Pub Games space requirements will be dependent on how many games and which ones are hired. – The Race Sims need flat easy access for their trolley which is 185cm long and 86cm wide. The Selfie Mirror (the main part is 61cm wide, 91cm deep and 141cm high and the other part is 137cm long, 98cm high and 39cm wide), Pub Games, Giant Operation and the Arcade Games Machine will also need to be wheeled into place on large trolleys. We must be notified in advance for any indoor activities if there are any steps at all, lifts, gravel paths or tight turns/narrow doorways on route from where we unload the van to the set up area as these may require additional staff. Scalextric will be delivered as 4 x 6ft boards so we need suitable access for these. – The Graffiti Wall and Selfie Mirror pictures will only be kept for 1 month after the event date. – The Graffiti Wall and Selfie Mirror cannot be operated in direct or strong sunlight and anything with a computer/TV screen or illuminated lights should be sheltered from direct sunlight as they become hard to see. 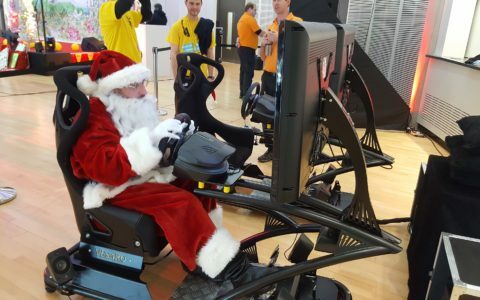 – Players on the Racing Simulators, Grab a Grand and Dance Mats must have clean dry clothing and footwear to play.